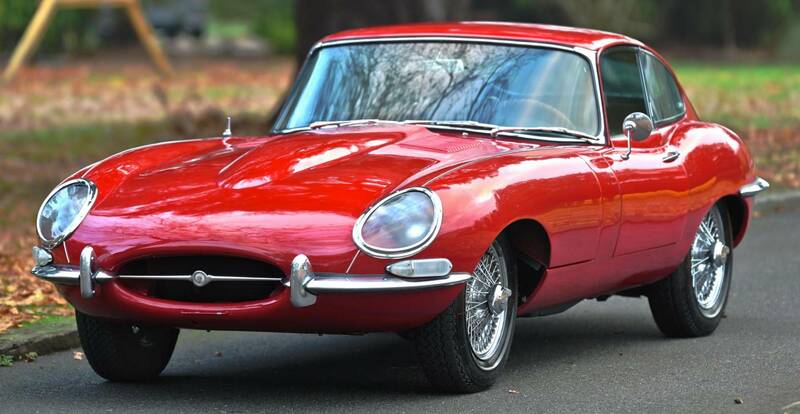 1966 Series One E Type Coupe 4.2 Litre Matching Numbers. Delivered by the factory on 11 th January 1966 and shipped to the US where it was sold in California to its first owner Jerome J Born. 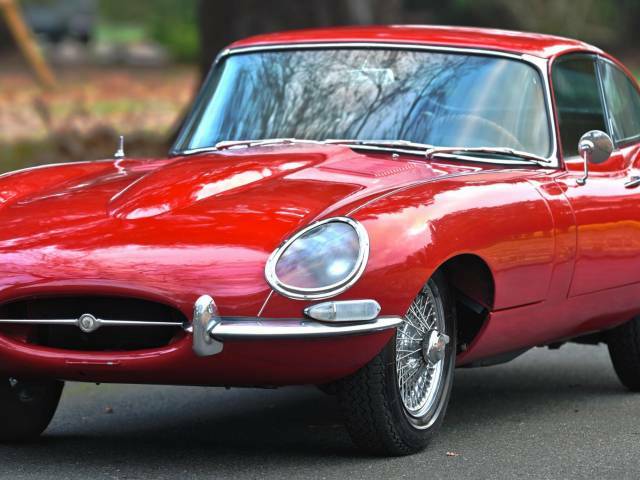 Subsequently in 1971 it was sold to its second owner Ralf E Vail of Santa Fe New Mexico who kept the car through until 2017 when it was acquired from his Estate and recently repatriated to the U.K. with all taxes paid. The car has always been a ‘ dry State car ‘ kept in the southwest of America and as a result it is extremely solid and sound and one that has never been rusty. It is also an incredibly straight car with very good door and bonnet gaps. It’s a matching numbers car showing 57000 miles which is believed to be its genuine mileage from new. There are a number of receipts which show that car was maintained during its life and it runs well with various items of work carried out recently including a new Stainless Bell Exhaust system . The car was repainted in red and trimmed in tobacco hide about 12 years ago in its present livery although its original colour was oyster beige with a beige interior which is an extremely rare colour combination. From research carried out it is one of less than 30 cars released in this colour. Whilst not a Concours car it is an extremely solid and sound car which can be enjoyed as it is or alternatively enhanced as and when required. It is in stock now with a UK plate applied for.